Talk-show host and animal-activist, Ellen Degeneres, has joined the fight to help save the Great Barrier Reef, following pleas from Not for Profits that Dory needed her help. The star, who voices Nemo’s chatty sidekick Dory, a blue tang fish with short-term memory loss, has appeared in a video message urging Australians to take action to save this “amazing place” which she claims is home to her “favourite fish Dory”. The message comes as Pixar’s beloved character will hit cinemas later this month for the sequel to 2003’s Finding Nemo; Finding Dory. “Hi Australia, it’s me, Ellen DeGeneres,” DeGeneres said. “As you know I’m a big fan of your beautiful, great, wonderful Great Barrier Reef, which is home to my favourite fish, Dory. 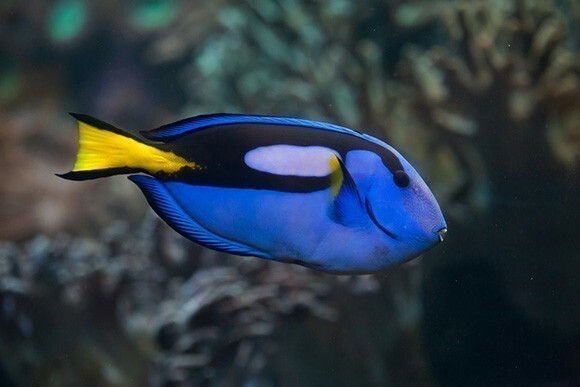 The video comes just days after several NFPs put out a plea to Degeneres, asking her to speak up for the real Dory – the Pacific blue tang – whose populations are expected to plummet after the release of Finding Dory. Since the 2003 release of Finding Nemo, clownfish have reportedly been pushed to the brink of extinction as the demand for the “Nemo” continues more than a decade later. And the Pacific blue tang is now being threatened with sharp population declines. My Green World founding director Natalie Kyriacou said it was fantastic news that the star has used her global voice to speak out. “She just has so much sway and she has already got a huge following particularly among animal activists and women and children as well, so it’s great news and I think she is the best person for the job,” Kyriacou said. Kyriacou said it was important the public realised how much an impact movies, especially those targeted at children, can influence communities and wreak havoc among ecosystems. 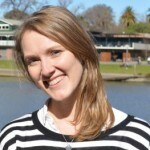 “I don’t think people realise that when The Teenage Mutant Ninja Turtles, every time that comes out, people just buy turtles and thousands are dying because people don’t know how to look after them, species go on the brink of extinction, or there was a Japanese invasion of racoons after a movie, so these movies really have a significant impact on ecosystems and most people don’t really make that connection,” Kyriacou said. “Parents will take their kids out to watch these movies and they see Nemo or animals similar to Nemo and the kids want one and the parents think “what’s the harm in that, I’m doing something nice for my kid, it’s a little present” and they would have no idea of the broader implications of that, so it’s not their fault it’s just we need to enlighten people and raise awareness on these issues because I’m sure most people wouldn’t go out and buy these fish and buy these animals if they knew the catastrophic effects of it. DeGeneres’ message forms part of Disney’s wider Remember the Reef campaign which aims to raise awareness, inspire Australians to make a difference and help protect the Great Barrier Reef. As part of the campaign Disney has partnered with Qantas, SEA LIFE Aquariums and Airbnb as well as Not for Profit organisation Greenfleet, who will re-create ecosystems in the Great Barrier Reef region. “We want to Remember the Reef to celebrate the role the Great Barrier Reef played in inspiring the characters we love,” the campaign website said. Greenfleet general manager revegetation Michael Coleman said their strength in the relationship was to “get in and do the work”. “In the context of this project specifically, there are two main things that we’re about doing,” Coleman said. “We’re carrying out tree planting in the upper catchments of the Great Barrier Reef as well as mangrove restoration along the coast. “I’ve got kids myself and I understand how important it is for us all to understand, how our everyday actions can impact global climate. “And in the context of what we do at Greenfleet, all of the work that we do is seen through the prism of are the actions we’re doing having a beneficial impact on climate, and that’s what we’re about doing. “Greenfleet is a charity, we are a Not for Profit, we’ll do whatever we can with the dollars we get, if that comes from someone important, or someone so called not important, we don’t mind, we’ll take the funds from wherever.